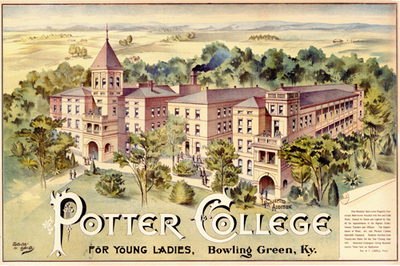 Potter College for Young Ladies closes at the end of spring term. WKU acquires buildings and land which includes Recitation Hall, Cabell Hall and a small stone building located behind Recitation Hall. These buildings were razed by 1937.